Last week, I had the opportunity to travel down to Orlando, Florida for this year’s SAP SAPPHIRE NOW + ASUG Annual Conference, which took place from June 3rd-5th, 2014. This wonderful conference brings together thousands of people for a great business technology conference by SAP and an information-packed American SAP Users’ Group conference, and I’m very glad I was able to attend. Tuesday kicked off with a keynote by SAP CEO Bill McDermott, titled “Simplify Everything. Do Anything.” ‘Run Simple’ is a new mantra that SAP is using, and that was the key message during McDermott’s keynote and really, throughout the whole conference. Many SAP know-how processes currently aren’t that simple, and we’re all hopeful (but skeptical) of what it will take to make running simple a reality. SAP integration has always been a big selling point, but how integrated are things now with other things moving towards the cloud, like SuccessFactors? SAP is working quickly to make the cloud, hybrid, and on-premises systems work together, but the people working with these systems know that full integration still has a ways to go. I’d like to see SAP taking a little more time to let the kinks get worked out. Security is also an ongoing concern. Polls of what SuccessFactors modules are being utilized often show that many modules contain sensitive employee data, like social security numbers. Being comfortable with this security will take time, and I see most companies easing into the cloud as such. Let’s just hope that ‘Run Simple’ stays simple. The inaugural day continued on with the ASUG Keynote from Capt. Chelsey (Sully) Sullenberger, whose keynote was very inspirational; Capt. Sully referenced experience over and over again. Over time, things evolve, and keeping up to date with the latest evolutions is crucial. Even so, having experience of what came before can provide insight on how to handle challenges. My biggest takeaway? Don’t fight change—embrace it and stay closely involved in using change to your advantage. Mari Braybrooks, Capt. Sully, and me after the keynote. My time on Tuesday—which was probably my busiest day—finished off with a handful of ASUG sessions. 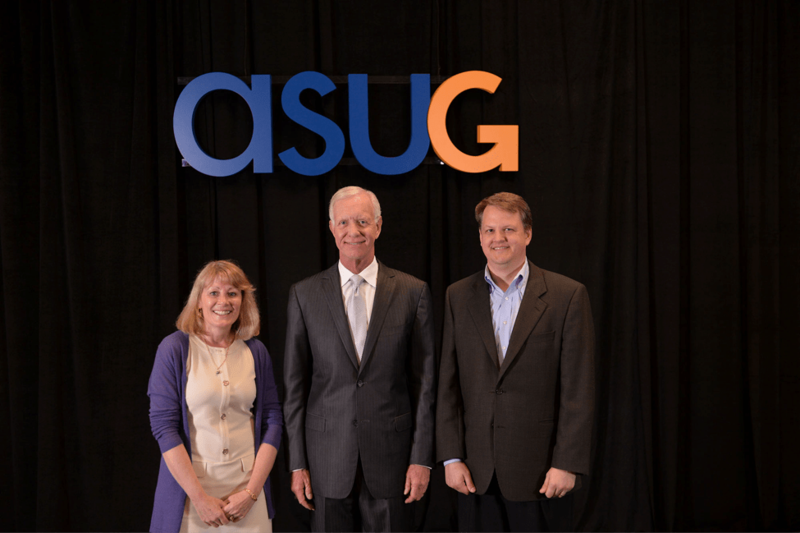 ASUG provided many in-depth HCM-related sessions this year that were very educational, and the take-homes were many. To me, the best part of ASUG’s sessions is how easy it is to network with other companies looking at similar functionality. Being able to discuss what you want to do with other companies going through similar processes is very valuable and can help streamline the entire process. Tuesday was a packed day, but was a great indicator of how valuable the conference as a whole would end up being. 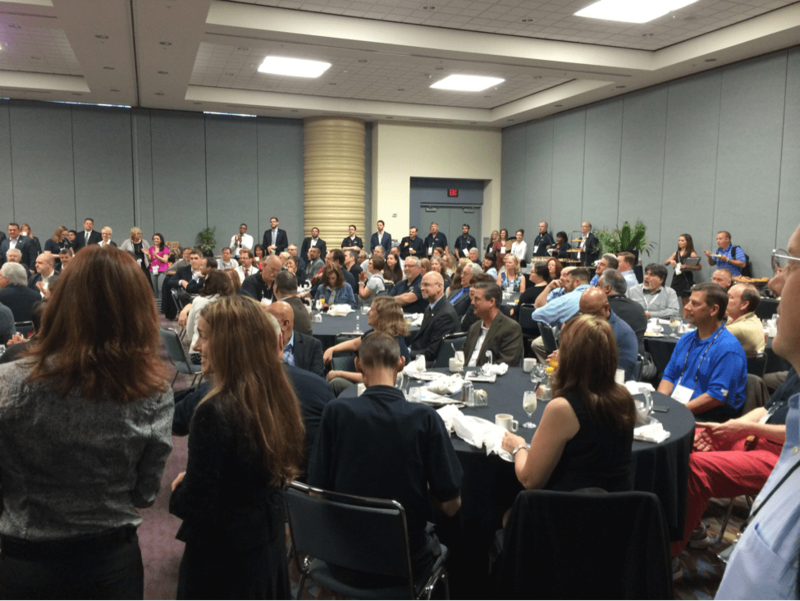 Wednesday started off early with ASUG’s volunteer breakfast. ASUG did a great job of recognizing many volunteers, and even gave out awards to those who went above and beyond in their volunteering efforts. This year’s volunteer breakfast proved to be a fun time with many great networking opportunities. I can’t say enough about how beneficial it’s been for me—personally and professionally—to volunteer with ASUG, and it’s also just a great way to meet new people. This year’s ASUG volunteer breakfast. The keynote speaker later in the day was Dr. Hasso Plattner, who discussed HANA and how it’s disrupting the use of SAP software, while also opening up much more powerful functionality due to significant speed increases. While SAP HCM is seeing speed increases already, things should only continue to improve as the platform matures and we see better optimization for HCM. 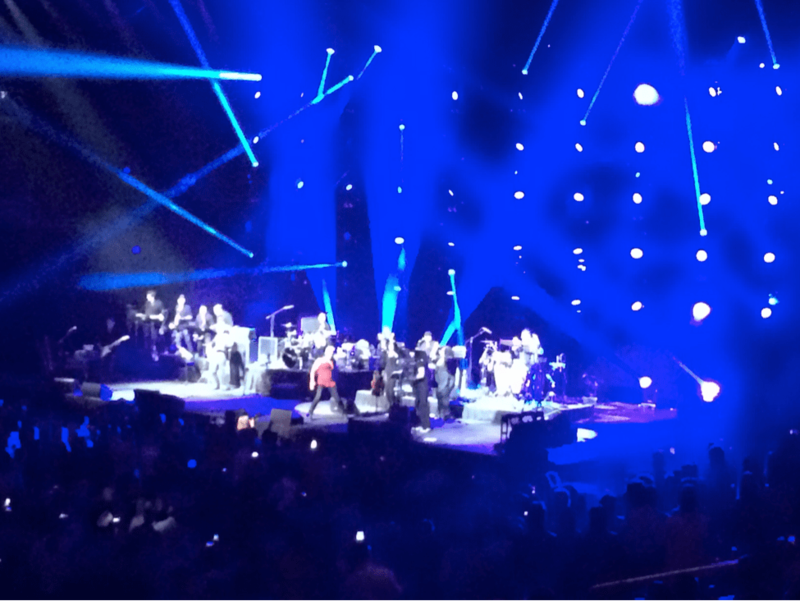 Wednesday night saw a serious change of pace with Jon Bon Jovi, who played in the evening and, I think, really had the place rocking. I wish he’d have played more of his hits, but the evening was still very enjoyable and it was fun seeing so many people let loose. This great concert wrapped up another great day at the conference. Jon Bon Jovi playing on Wednesday night. The late evening with Bon Jovi made for a tough morning start, but Dennis Miller, Kevin Nealon, and Dana Carvey were still able to get a tired audience going with their Keynote. The crowd had thinned noticeably since Wednesday, but the ASUG educational sessions throughout the day continued to provide outstanding information nonetheless. This year’s SAPPHIRE NOW + ASUG Annual Conference was, as usual, absolutely packed with great information. If you were unable to attend (or even if you did attend) and are looking to recap the event, take a look around the conference’s website, which is loaded with recap videos (including keynotes), follow-up information, and information about next year’s conference. I attended and I still find the resources on the site very valuable, and I’m sure you’ll feel the same. Next year’s SAPPHIRE NOW + ASUG Annual Conference happens on May 5-7, 2015 in Orlando, Florida. I highly encourage anyone interested to register. And to keep up to date in the meantime, you can get involved with your ASUG Chapter or a Special Interest Group (SIG); you should find benefits almost immediately. Getting to know and understand what other companies are going through, and ideas on how they’re approaching those situations, is invaluable if you’re about to start the journey. I’m very glad that I got to attend this conference this year, and can’t wait to see what 2015’s conference holds.